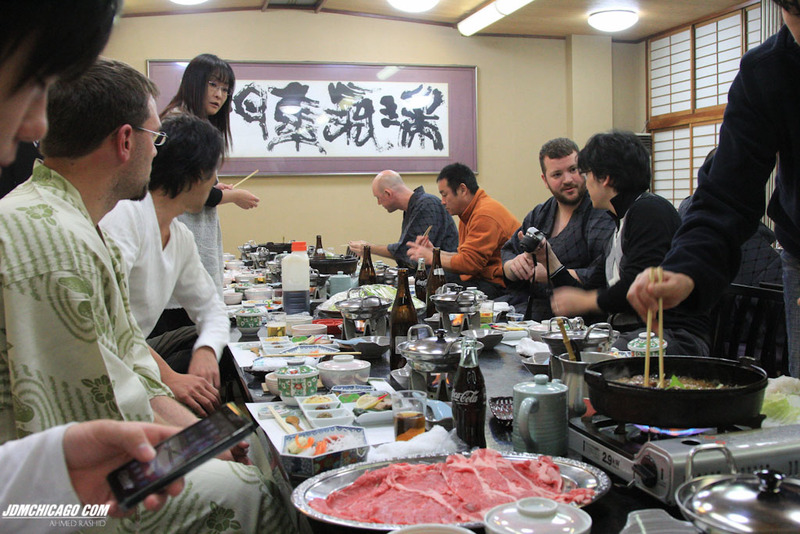 Thanks again for checking out our 4th installment of this EPIC Japan trip. Once again, If you missed the other few parts, here are the links to get you caught up: Part 1, Part 2, and Part 3. 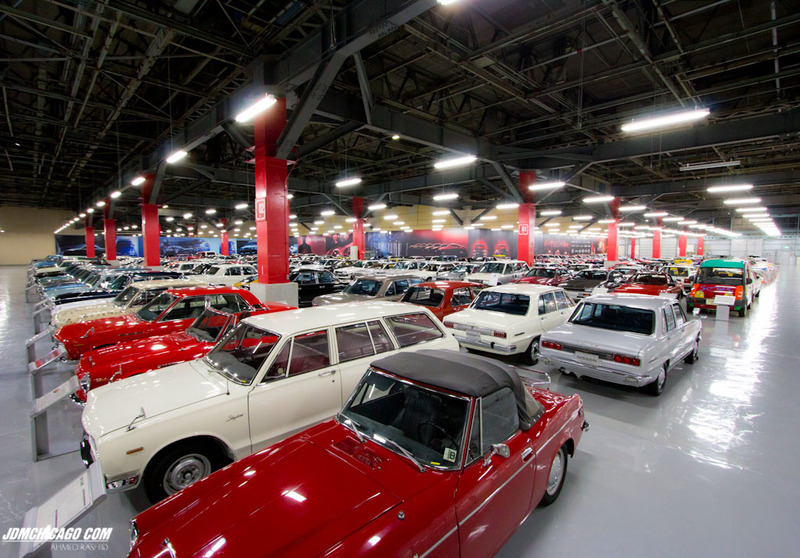 Day 6: We head out to Zama to see the Datsun Nissan Automuseum (DNA Garage) and then headed to Autech afterwards – a subsidiary of Nissan for special vehicles and projects. 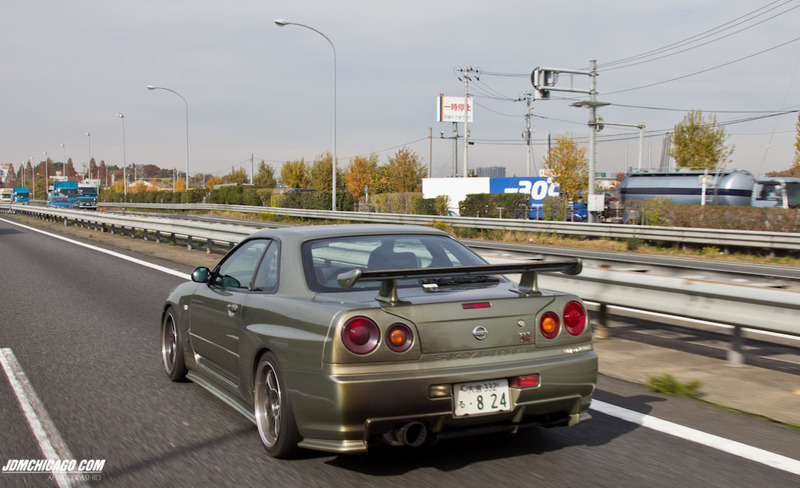 Prior to the trip, I had been dying to see the Nissan R390. I brought my tripod along b/c I wanted to shoot at low ISOs to get clean shots, and I’m glad I did. 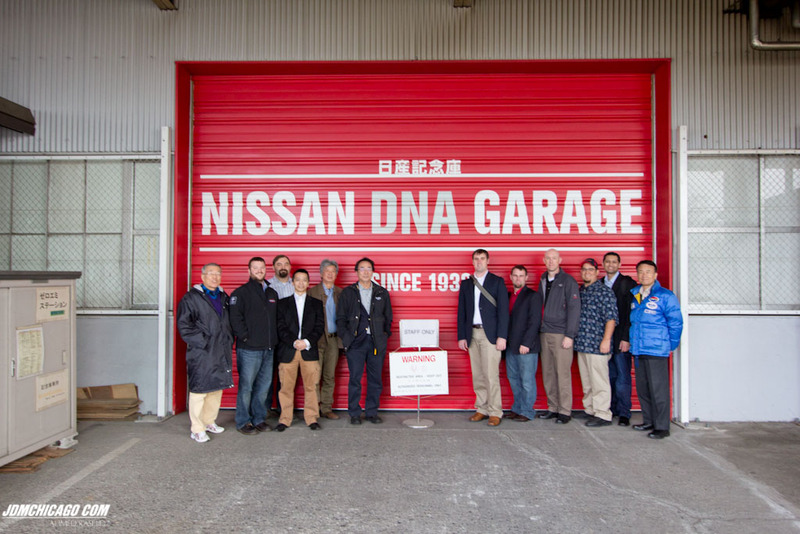 For those who don’t know, the DNA Garage is a warehouse where Nissan keeps 400+ rare Datsuns and Nissans from their history. It is not open to the public and we obviously have special permission to see this (as with everything on the trip, this was done through Mad Mike’s friends/contacts at Nissan and Nismo). Eiichi-san (the unofficial curator of the museum) said they are considering opening this up on a limited basis, but nothing final yet. 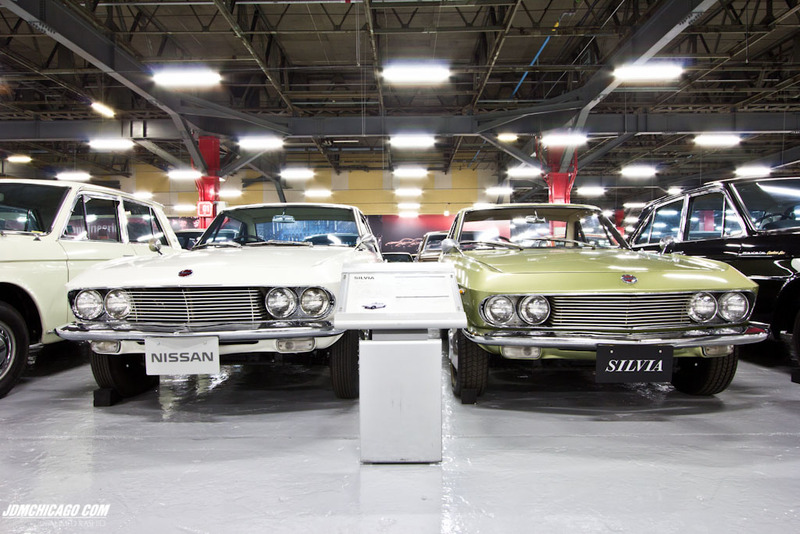 A pair of CSP311 Silvia’s. Only 554 were produced from 1965-1968. 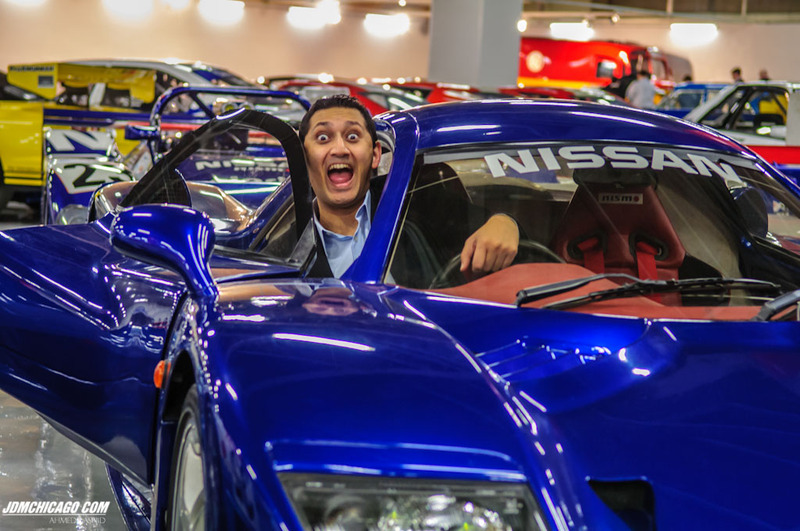 Here is me sitting in the Nissan R390. I had been dreaming about sitting in this car for 4 years (when I was suppose to go on this trip originally) and it was absolutely spectacular. This was the only car I asked Eiichi-san if I could sit in and he gladly obliged – this is what I call VIP access. The car is already tough to get in, and with the other cars so close it was VERY difficult to get into since I couldn’t open the door all the way, but I found a way. This is the only production R390 in the world – 1 of 1! 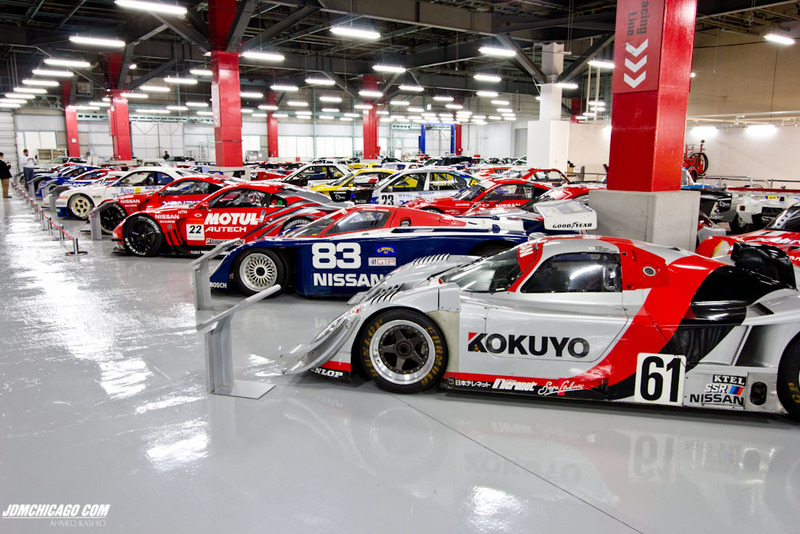 Nissan had to produce 1 production car because Le Mans regulations stated that there had to be at least 1 production car for them to produce race cars based on the same chassis. This car is a dream. Conclusions: Wow. Just wow. We had a little less than 2 hours at Zama. Seeing this was overwhelming. I was so confused on what to see and what to shoot. I knew I couldn’t spend too much time on any one car because there is just SOOOO much to see. I think I did a good job of covering the entire area and spending more time gawking at the cars I really wanted to see. Adam was joking that I was the official group photographer and I had to just shoot pics the entire time. Well I wanted to capture as many cars as I could, but a friend told me before I left that I should also enjoy the cars and take some time to just sit back and look at the epic warehouse I’m in and take it in. I did take lots of pics (not all are posted here of course), but I did manage to take it in and realize how special it was to see this. You could be here for days and days and not see everything. We all suggested just camping here for the rest of the trip, but that idea wasn’t approved by Nissan. What an experience. After we got to the bus, we all jokingly asked Mike for a refund, because he obviously wasn’t delivering on his promise of a once in a lifetime trip. So, now we leave Zama and head to Autech – no cameras allowed here at all. Autech designed and built the Nismo versions of the 350Z and 370Z for Nissan. 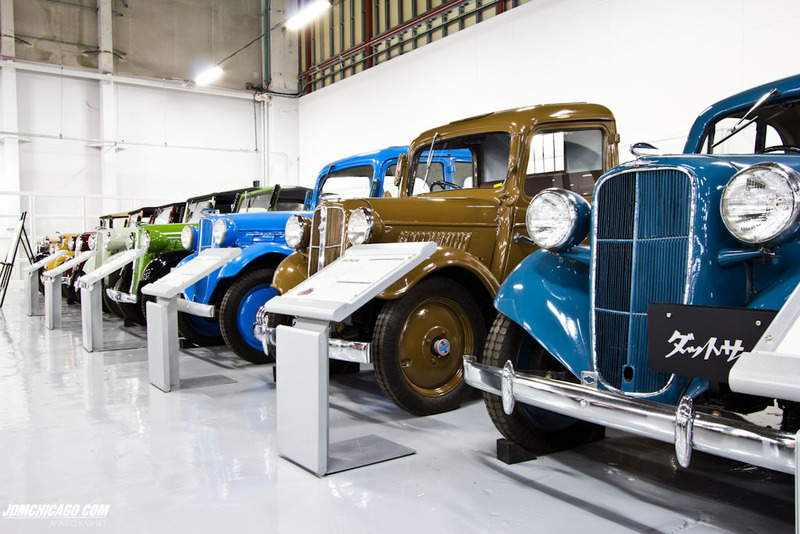 They build special vehicles for handicapped persons and everything is custom made in house. We saw the design center with a one-off Autech car that was a completely re-done G37. I have no pictures of it obviously, but it was super clean. From the interior to the entire body, it was all Autech. We got a tour of their plant and how they manufacture these special cars/vans. It was a hell of a place to see in person. The attention to detail was amazing, nothing but the best. They gave us a lot of AWESOME swag and then we headed to dinner with a couple of the Autech guys. This is where Kawaguchi-san of Autech mentioned that he designed the engine management system for the R390. Our entire table was like “WHOA!!”. Inside, we were all bowing down to him b/c he must have been like 25 when he did that back in the mid/late 90s. Good times and laughs were had, and then we headed back to the hotel. Day 7: We leave our hotel in Tokyo and head north. Our first stop is the Nissan plant in Tochigi and then we head to the spa in the mountains – the Ojikaen. 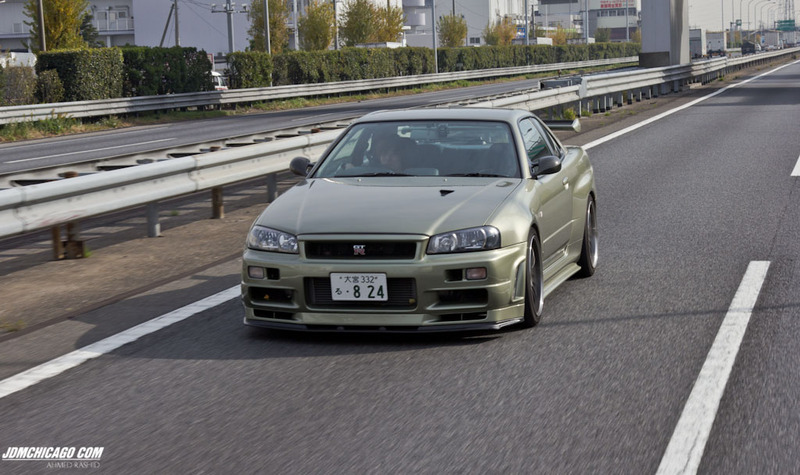 Then we came across this R34 V-Spec II Nur on the freeway. 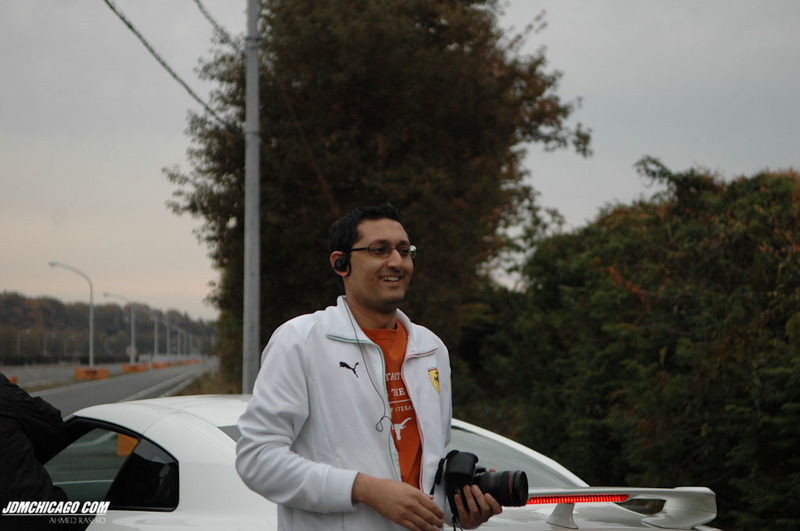 We arrived at Nissan’s Tochigi plant – again, no cameras allowed inside. We took an amazing tour of the plant and saw the assembly line. It was absolutely breathtaking to see the assembly line process. There are little machines delivering parts at every stop (all automated). The car bodies meet their engines/transmissions at a particular point and it is timed perfectly. The tools the workers had to put the cars together were brilliant. It was so satisfying to see how a car is made in person, because you really appreciate all the logistics that have to go into it. And there are many different models on the line, but that doesn’t slow anything down. 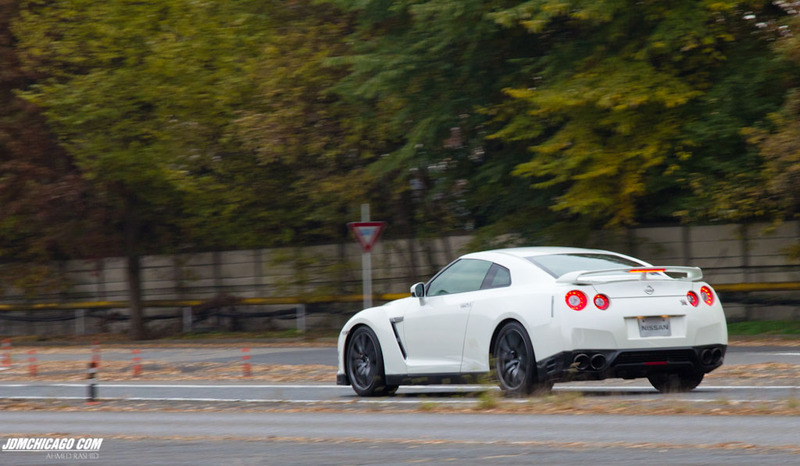 As we walked outside, we saw a 2 dozen brand new GT-R’s waiting to be shipped, it was awesome. 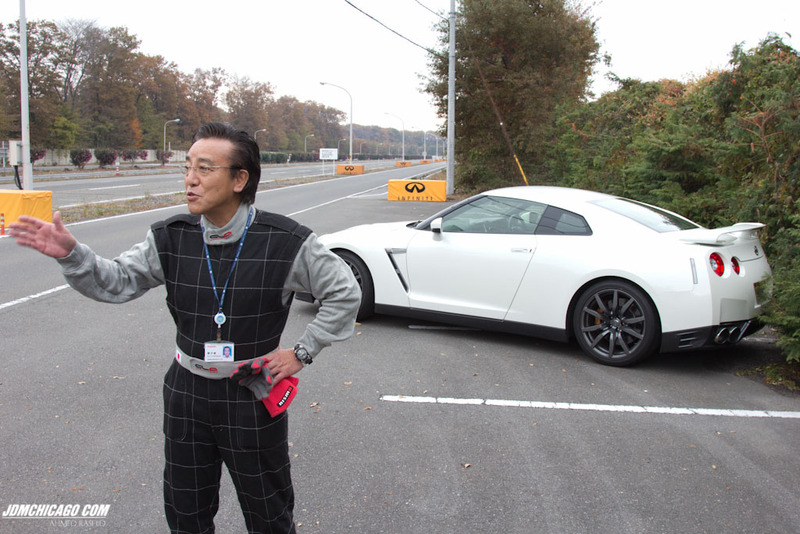 We got back on the bus and headed to their private test track on site where we would be getting rides in a GT-R with the chief test driver. 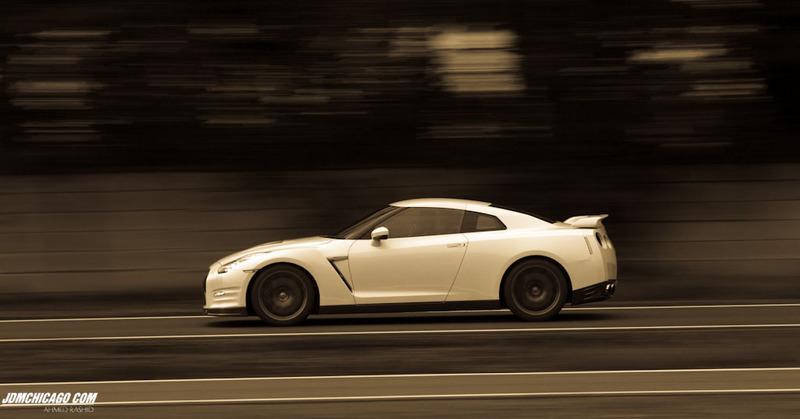 This was my first time doing panning shots of a moving car, so I did a lot of experimenting and shooting. I’m glad a few shots came out nice. 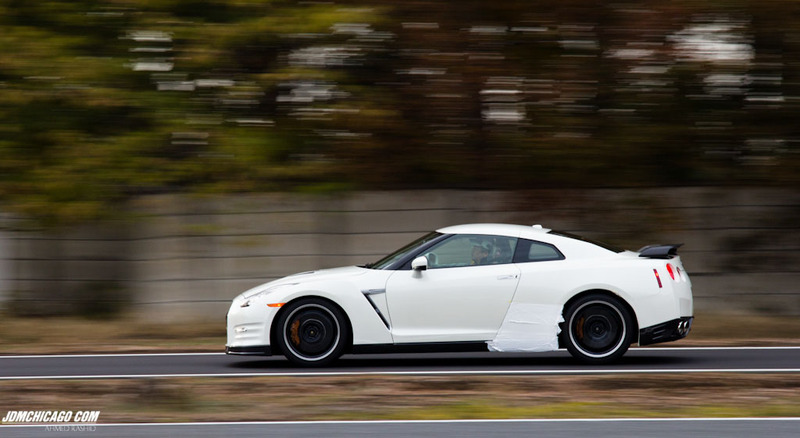 You can see the factory wrapping still on this brand new GT-R being tested for the first time. This one is my favorite shot. Here is my look just after the test drive! Nissan gave us some gifts after the test drives and we left the facility for the Ojikaen Spa. This is a classis Japanese hot baths spa in the mountains north of Utsunomiya (about 3 hours north of Tokyo). We had a massive group dinner followed by karaoke and drinks. It was a complete blast. The generosity of the Japanese Z club was unbelievable, they really made us feel at home. 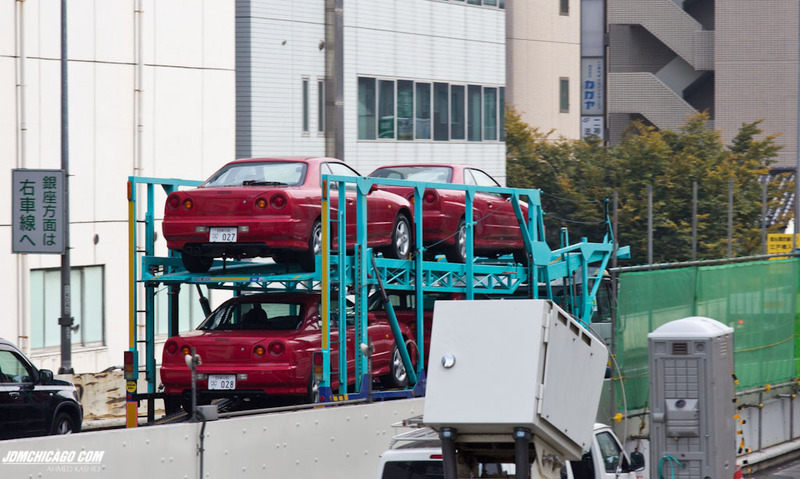 The day had come to an end and we had to be up early the next morning for the trip to Yokohama Tire’s testing facility. Stay tuned for Part 5. Welcome to JDM Chicago. The Chicago-based online magazine & community. Our mission is to feature rare and modified Japanese cars and provide you some of the best coverage from shows to track events. Additionally, we hope to bring together the community and give recognition to the people that make it what it is. Check out the community forums by clicking here. Do you want to be featured on our mag? Email us your submissions.